Pronunciation is one of the hardest things to master in English. Today I’m going to look at the letter ‘o’ and concentrate on some common pronunciation errors. Most students have no problem with the short vowel sound /ɒ/ found in British English in words such as hot, boss and across. (Americans pronounce this as a longer sound /ɑː/.) Students also generally understand how adding an ‘e’ to the end of a word leads to a longer sound /əʊ/ (UK) /oʊ/ (US), for instance hop/hope, not/note. However, other – often very common – words do cause problems. Word and work are good examples. The combination ‘or’ is usually pronounced as /ɔː/ (UK) /ɔːr/ (US), for example in the words fork, airport and boring, and students often try to use the same sound in word and work. However, this is not correct – for those words we use /ɜː/ (UK) /ɝː/ (US), which is the sound you find in bird, firm and dirty. Words such as some, love and money also cause problems. 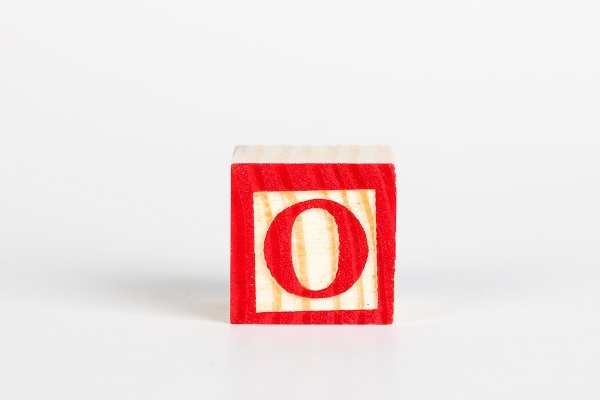 Here, ‘o’ should be pronounced /ʌ/, which is the sound in fun, jump and under. Students often try to use the same short vowel as for hot etc, and this is not correct. Other very common words that need the /ʌ/sound include: above, colour/color (for the first vowel), another, comfortable (for the first vowel), other, company, glove, honey, month, nothing and onion. It is also important to remember that in words of more than one syllable, vowels that are not stressed usually need the pronunciation /ə/. This sound is known as a ‘schwa’ and is extremely common in English. It is the sound you hear at the end of the word butter in UK English (for US English, imagine it without the ‘r’ at the end). So, for example, in the word photograph, the first ‘o’ is in a stressed syllable and is pronounced /əʊ/ (UK) /oʊ/ (US) and the second one a schwa, while in photography, the second ‘o’ is in a stressed syllable and is pronounced /ɒ/ (UK) /ɑː/ (US) and the first one is a schwa. Other common words in which the ‘o’ should be pronounced as a schwa are: aeroplane, collect, complete, computer, factory, forget, information, kilogram, lemon, police, polite, nobody (second ‘o’), opposite (second ‘o’). Finally, note the very strange word women, in which (as I mentioned in a previous post: https://dictionaryblog.cambridge.org/2015/11/04/women-and-biscuits-common-pronunciation-errors-in-english/), both the vowels are pronounced /ɪ/, the sound you find in the words in, hit and trick. Remember that if you are unsure of a pronunciation, the dictionary on this site has British and American audio recordings for all the words in it. I am going to comment before I read because O is (and was) my serious problem either I read or I write. Needless to say, but I would like to say your blog is perfect. Thank you. Could you please write your next post on simple sentence (clause) word order and reasons for its variations? Why do we sometimes say ‘Here comes the elephant’, Hanging on the wall were a few antique pictures’, etc. Thank you for the overview – word and work are definitely challenging for my students! For students of English in Britain it would also be useful to know that in a large part of England (i.e. the North), the ‘o’ in some, love and money is pronounced /ʊ/, and for many Northerners, /ʌ/ is not a part of their accent. When you write that these words ‘should’ be pronounced with /ʌ/, in Britain this is only for standard British English. Any students who have watched Game of Thrones will have heard a large variety of accents which use /ʊ/ for ‘o’ in words like glove, honey and month.